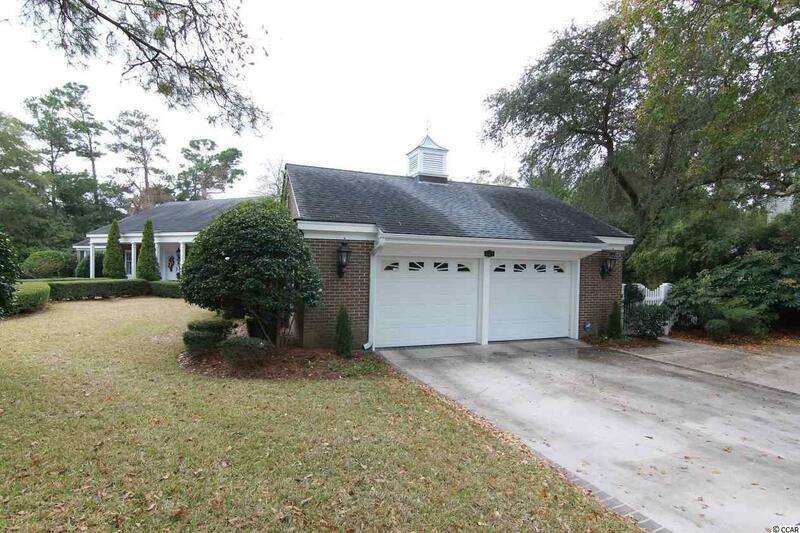 Beautiful large 5 BR home with 4 full and 2 half baths in "Old Myrtle Beach. 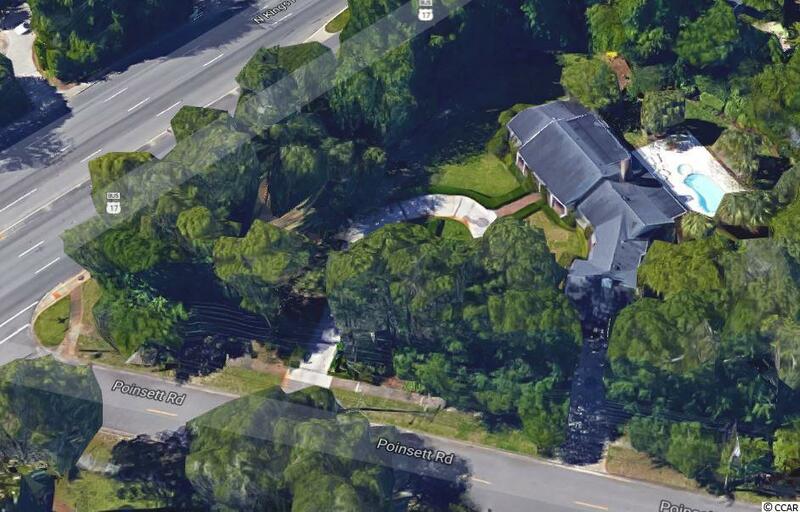 Property is located inside the City Limits and in the prestigious Pine Lakes with no HOA. The neighborhood was originally developed as "Arcadia in 1929 and this parcel is located a couple of blocks from the oceanfront (1,000 feet) midway between the Pine Lakes Country Club and the former Ocean Forest Hotel; easy walk or golf cart ride to the beach. Its very private and magnificently landscaped with mature shrubs and trees. 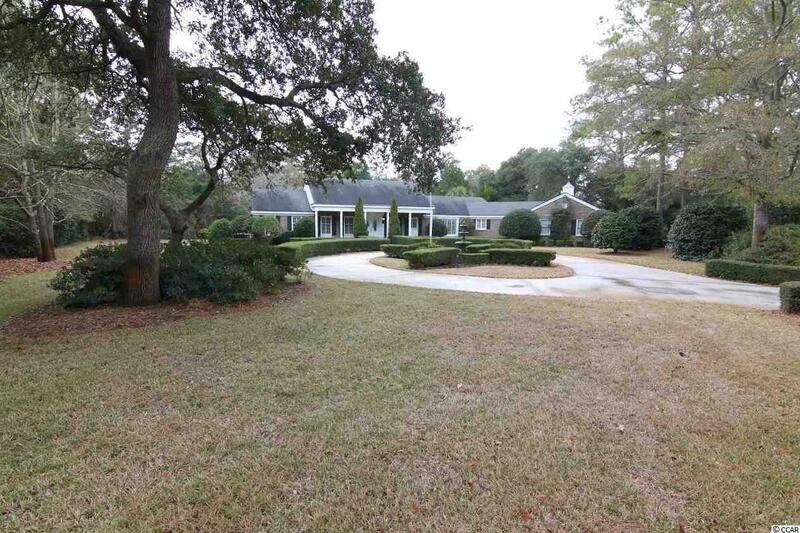 This beautiful home sits on over an acre with plenty of room for outdoor family fun. 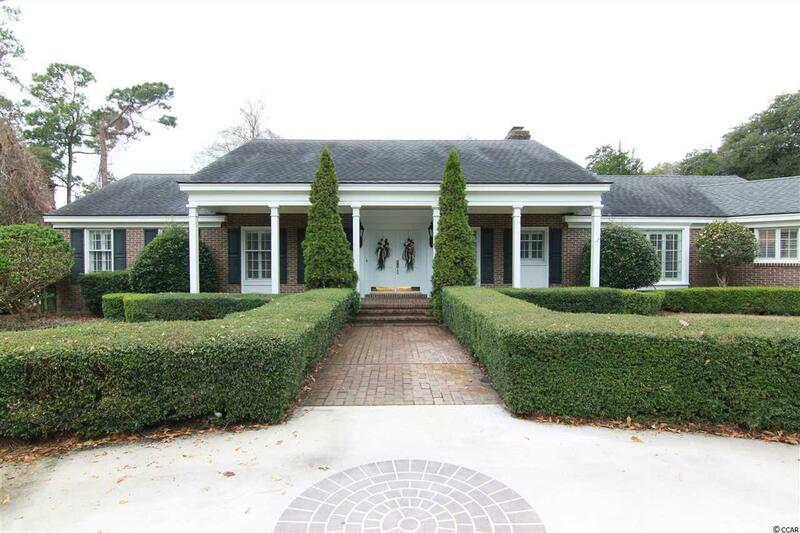 Circular front drive for easy front door access features a fountain and flagpole. Second concrete driveway for family use leads to large 2 car garage with garage door openers, workbench and pull-down attic storage. Great home for entertaining both inside and outdoor poolside. Swimming pool has multi-color light and separate spa with waterfall into main pool. Large pool deck and sun bathing area and privacy fenced yard with seasonal landscaping and a large covered porch (2 ceiling fans) leading to family room. Home has 3 bedrooms (including MBR) and 2 full bedrooms and 2 half baths downstairs plus 2 bedrooms and 2 full baths upstairs. Upstairs features walk-in attic (separate from one over garage). Master bath (ground level) features a steam shower, separate 2 person combination air jet and whirlpool tub, bidet, double marble vanity, seated make-up marble counter and exquisite cabinetry. Home has 3 electric HVAC units (2 for downstairs and 1 for upstairs), 2 gas Rinnai tankless water heaters (1 for public restrooms, kitchen and laundry and 1 for bathrooms), 2 fireplaces (living room and family room), Bose surround-sound in family room, ceiling fans in family room, MBR and 1 upstairs bedroom. Home is in one of the best neighborhoods in Myrtle Beach and is ideally suited for large families or families having live-in sitters, in-laws, and/or frequent guests. Home is vacant and ready to move in! Full Home Warranty paid for by Seller! Listing provided courtesy of Beall Real Estate Group, Llc. Listing information © 2019 Coastal Carolinas Association of REALTORS® MLS. Listing provided courtesy of Beall Real Estate Group, Llc.